In April 2002, Kim Whiting and Bonnie Allen developed the concept of superior pet care philosophy which became Pappy’s Pet Lodge. An architect and contractor were engaged to build the first Pappy’s Pet Lodge and was opened for business in 58 days. The level of care was immediately evident with a sold out lodge during the very first weekend in business, and Pappy’s Pet Lodge has grown successfully by maintaining this well-regarded standard of service. Soon after opening, Pappy’s was recognized as a leader in pet care and in the community. The recognition and awards in pet care received by Pappy’s Pet Lodge has driven their growth to 5 successful locations serving the Dallas Ft/ Worth Metroplex. Pappy’s has been honored with awards from the Richardson Chamber of Commerce, Plano Chamber of Commerce, Best of D Magazine, Living Magazine, Top 10 Companies in Collin County, Plano Star Courier, and Enterprise Banks Celebration of Enterprise Award which lead to a growing satisfied customer base of over 10,000 pet families. Pappy’s Pet Lodge is proud to have been featured on Fox TVs “Renovate My Family” with Dr. Phil’s son Jay McGraw, “Sheer Dallas”, and NBC Channel 5 “Home and Lifestyle” TV show. We will care for all pets through focused, documented, love and attention to their behavior, well being, eating habits and elimination schedule during each visit. 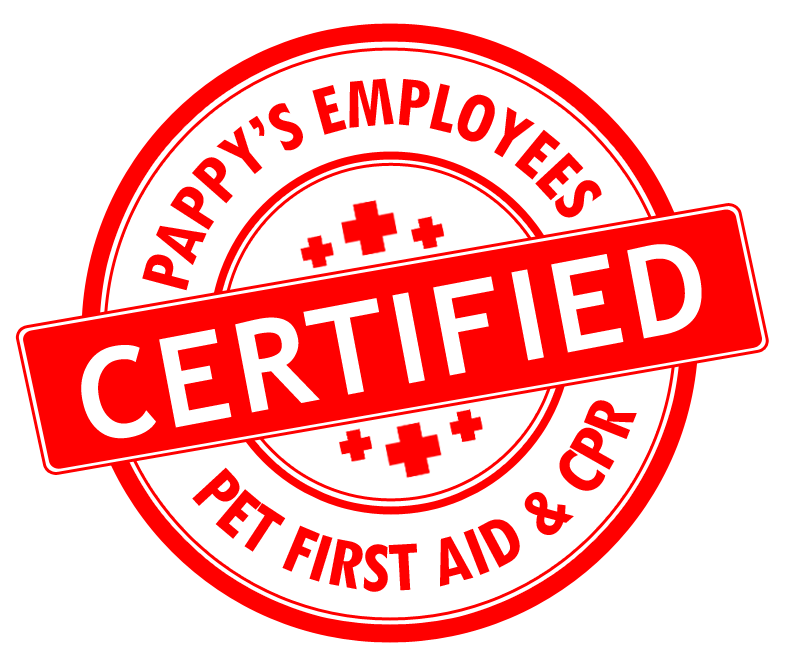 Our job is to make every effort to help all pets in Pappy’s care to remain happy and healthy while under our loving and attentive care. We will treat our people guests with respect through fair pricing and value added services. We will provide a safe, clean, comfortable, home-like, loving and fun environment for their pets. Next to our pet guests, our people guests are the most important asset to our business. We will continually find ways to show our customers how much they mean to us through loyalty programs, specials and events. We are honored by the trust our people guests have in us when they must be away from their pet family. We understand we will not prosper without our people guests and will go the extra mile to exceed their needs and expectations. Our pet professionals are the lifeblood of our company. We hire people who are compassionate toward our guests and professional in all we do. We offer an opportunity for them to grow personally and professionally and are committed to their success through ongoing training and development. This allows Pappy’s to continually exceed our guest and team expectations. We view our vendors as partners in success and hold them accountable to the same level of expectation that we have for ourselves. We will seek mutually beneficial vendor relationships. We will gladly recommend these vendors as a resource to our customers. We will be good corporate and community citizens and seek opportunities to serve and educate pet owners while providing expertise to local communities. We actively work with rescue organizations and shelters to help support and promote their efforts in finding loving homes for pets. We will remain involved in community non-profit organizations through our shelter affiliations, local Chambers of Commerce and others as identified.